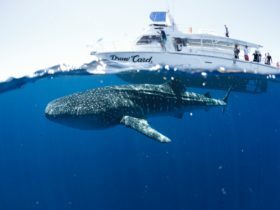 Join the Dive Ningaloo team for the best diving on the Ningaloo, the home of pristine coral, turtles, humpback whales, manta rays, whale sharks, an abundance of fish and so much other incredible marine life! Dive Ningaloo is small and flexible, specialising in only taking a maximum of 15 divers on their spacious 62 foot purpose-built dive boat. They pride themselves in personal, quality service, diving in the best remote, beautiful places and offering a better selection of dives than any other dive shop. They are also the only company with the exclusive licence to dive the Exmouth Navy Pier – a dive rated one of the top 10 shore dives in the world! 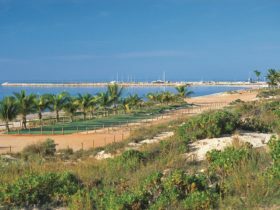 Dive and snorkel the magical Muiron Islands- two deserted islands located nine nautical miles north of Exmouth, surrounded by white sand. 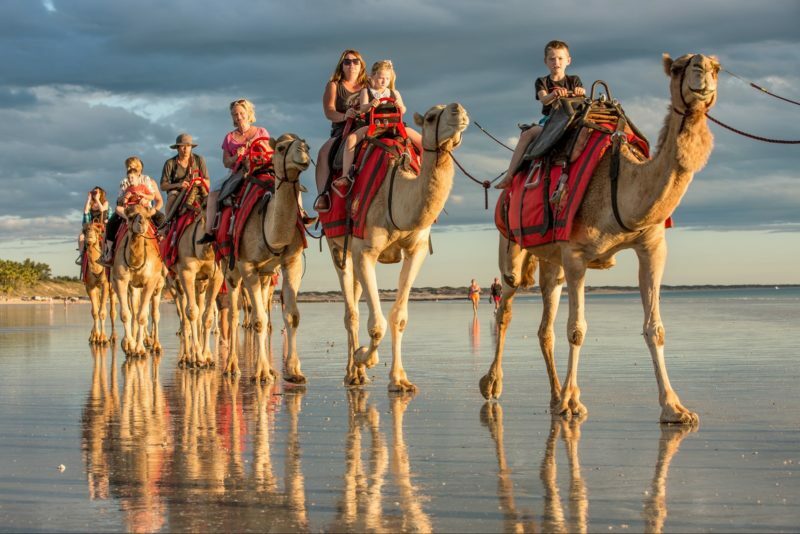 Swim off their boat and relax on your own deserted beach. This is Ningaloo at its best. 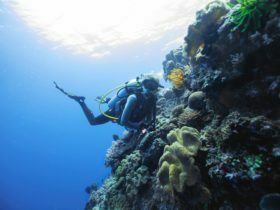 Here there is an abundance of soft corals, gorgonians, and sponges fringing the edge of the islands and incredible fish life, dolphins, whales and mantas travelling through. Soft corals provide beautiful colours and movement in the water and also are a favourite of turtles, which are there in abundance. Many of the sites also have swim throughs, filled with glass fish and cod. Their favourite site is a beautiful drift dive between the islands. If nudibranchs are your thing, then you’ll love these dives! 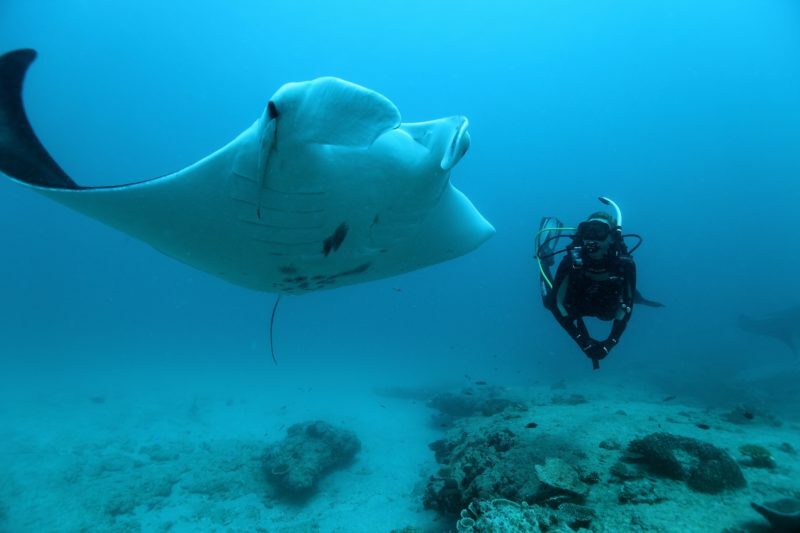 Join them to dive the amazing Ningaloo Reef. 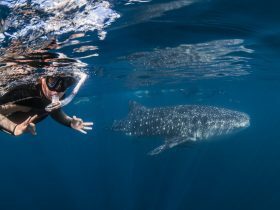 One of the largest fringing coral reefs in the world and home to the ‘big three’; whale sharks, humpback whales and manta rays and well as turtles, reef sharks and other cool marine life! Hard corals make up a large portion of the reef forming surge channels, coral outcrops and rocky ledges. There are common sightings of reef sharks, wobbegongs, turtles, sea snakes, moray eels, rays, big pelagic fish, large schools of snapper, trivially and perch, as well as awesome macro life such as nudibraches, octopus and shrimps. The sound of the humpback whale song during the dives is an incredible and moving experience! 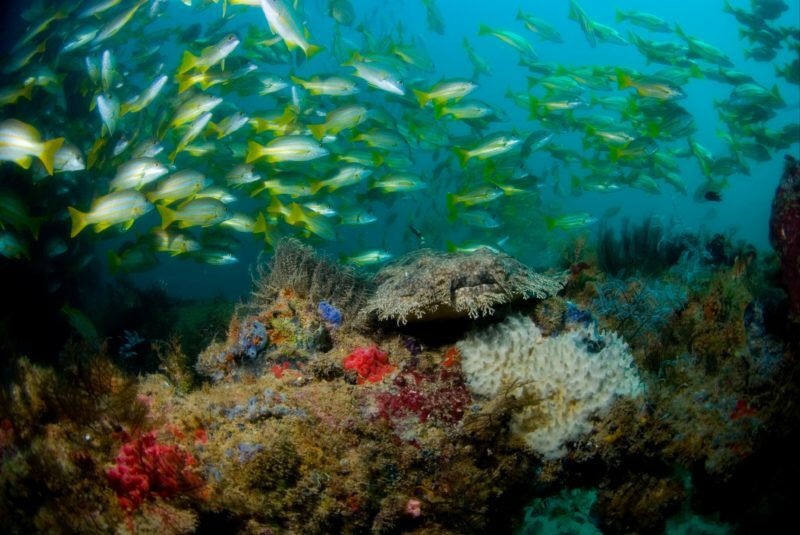 The world- renowned Exmouth Navy Pier has been voted as one of the top 10 dive sites in Australia, and one of the top shore dives in the world, and it is right here on our doorstep! The Navy Pier is a photographer’s dream as it boasts a huge variety of marine life to delight every type of diver; those who love big impressive sights, and those who love the small stuff. The pier structure is a macro wonderland. Nudibranches of all shape and colour, flat worms, scorpion fish, frog fish moray eel, toad fish, shrimp and octopus fill every nook and cranny. 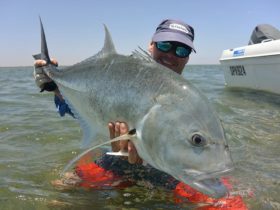 Cruising through the shadowy structure are also big schools of snapper, rabbit fish and fusiliers, huge grouper, sea snakes and sharks, commonly grey nurse, reef and wobbegongs. The structure is covered with soft corals and sponges that utilize the currents to feed and this attracts colourful reef fish, butterfly, angel, moorish idol and parrotfish.